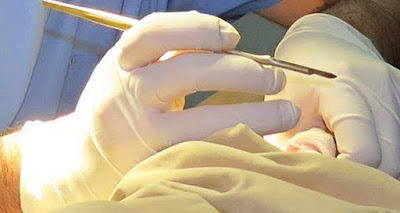 A five-month-old boy has died after a botched circumcision by his parents at home. The infant was rushed by helicopter to a Bologna hospital in Italy while suffering from cardiac arrest on Friday afternoon. He is believed to have died in hospital later that night. A manslaughter investigation has been opened against the boy's parents - said to be of Ghanaian origin - by the prosecutor's office in the northern province of Reggio Emilia and an autopsy will follow. The tragedy follows a botched home circumcision of a two-year-old who died of severe blood loss in December in Rome. Why not go to expert?